Embedded C SDK for C-based platforms such as Linux, RTOS, with variants for OpenSSL and mbed TLS. 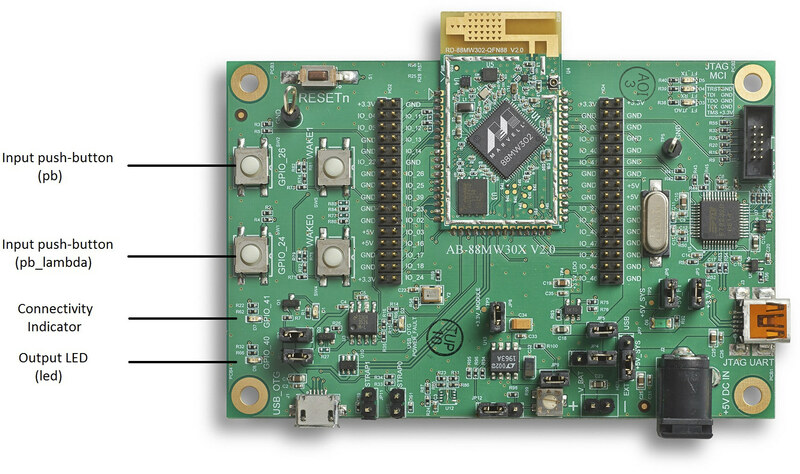 Ten started kits are currently officially supported by AWT IoT, many of them being existing platforms such as LinkIt One, BeagleBone Green, Intel Edison, or TI LaunchPad CC3200, with several of these kits including SeeedStudio’s Grove modules. Expansion headers – 2x 32-pin header with access to SPI, I2C, UART, I2S, PWM, ADC, DAC, as well as power signals and GND. Information about Marvell MW302 SoC is limited to the product page, and more details require an NDA. Documentation for the kit is slightly better, with the SDK soon to be released on Github, and a getting started guide explains how to use AWS IoT dash with the board to monitor key presses, blink LEDs, and trigger actions with AWS IoT to AWS Lambda feature, which appears similar to what TI Connected LaunchPad does with Exosite cloud platform. MW302 IoT Starter Kit is listed on Amazon for $49.90, but currently out of stock. Re: mw30x; It will be interesting to see how much source they are going to be releasing publicly and if it ever makes it to distribution at a reasonable price. It is a nice platform but next gen espressif chip is going to be the one to beat. deets :Re: mw30x; It will be interesting to see how much source they are going to be releasing publicly and if it ever makes it to distribution at a reasonable price. It is a nice platform but next gen espressif chip is going to be the one to beat. Do you have any links or more info on the next get espressif chip? ESP8266 still the most interesting one for this moment. Not only lowest price but also the very important thing in the world of open-source, SDK and strong and superb active community! I wonder if anyone having information if this hardware available in Arduino, or Arduino like development platform. 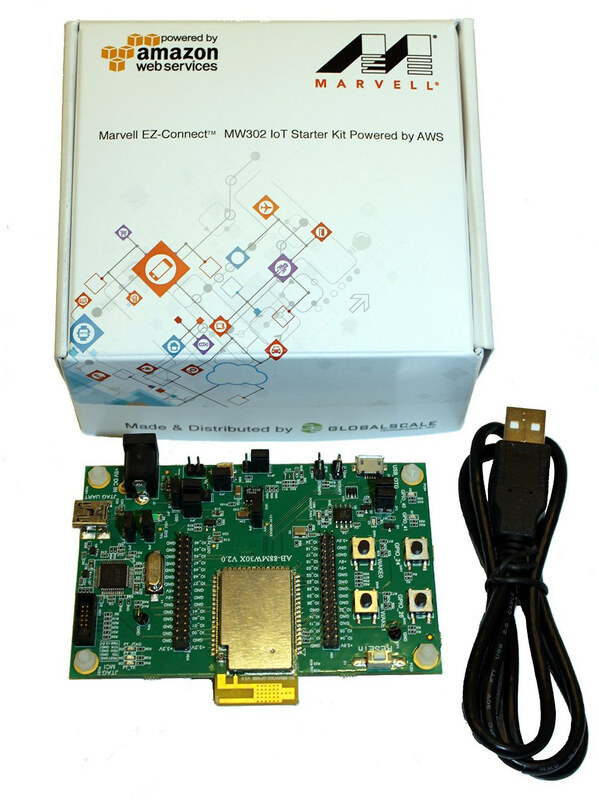 We can see ESP8266 in Arduino, CC3200 with Energia, Particle photon with their wiring clone IDE, would be interested to know if this Marvell chip available in that similar open source development aside from electric Imp.